Whenever I travel I keep an eye out for what and how much other cities don’t throw in their trash. In the South Coast of Massachusetts where I recently visited, each house pays by the garbage bag. You can only dispense of garbage in official orange bags. They have normal curbside recycling but they also have something unique. They pay a 5 cent deposit on bottles and cans for soda, other bottled drinks and beer. To redeem your deposit you take your empties back to the grocery store or liquor store and put them in what I call a reverse vending machine. 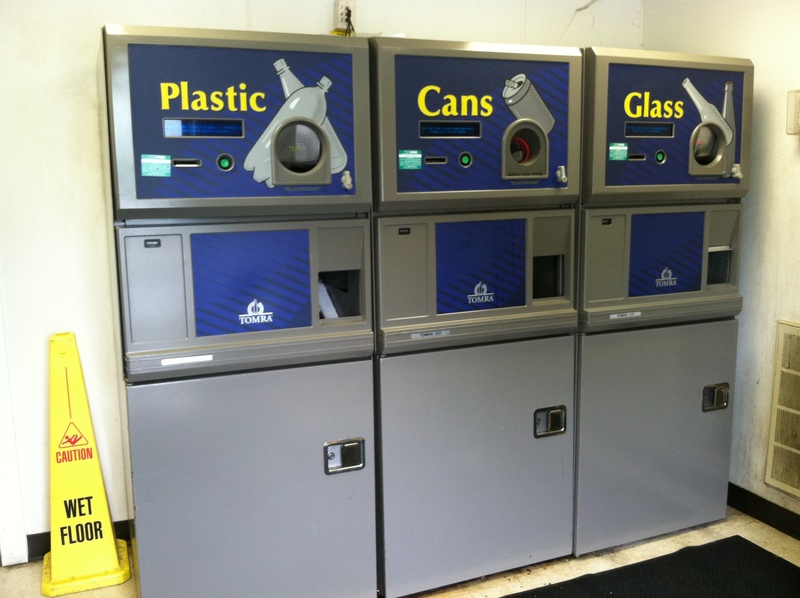 Bottles and cans go in, one at a time, in separate machines and get crushed. It makes quite a noise but you feel very efficient and productive doing it. At the end you get a ticket which you take inside and get your money back.